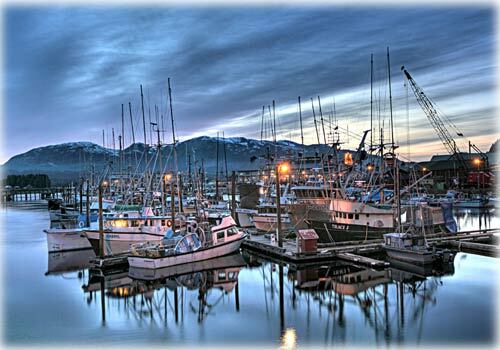 Alaska: March 31 Deadline to Apply for 2010 PFD Fast Approaching - The deadline to apply for the 2010 PFD is rapidly approaching. PFD Operations Manager Dan DeBartolo encourages applicants to file online, "Our online application is faster and easier to use than ever. Simply go to www.pfd.alaska.gov to file and receive immediate confirmation that your application was successfully completed." As of March 18, nearly 467,000 Alaskans had applied online. Every Alaskan can apply online for their 2010 PFD, and Alaskans who received a dividend last year can choose to sign their PFD application electronically through myAlaska©. Fish Factor: Demand for seafood increasing By LAINE WELCH - The Boston Seafood Show provides a good barometer of the mood in the global fish business and by all accounts, it was upbeat. The show is the largest in N. America, attracting 16,000 buyers and sellers from 90 countries. "People are much more optimistic this year," said John Sackton, a veteran industry market expert. Sackton said demand for seafood is increasing and people are scrambling to get certain types of fish.
" Pollock , salmon and crab - all of these markets are quite strong right now and it made for a good show." Sackton said a hot button topic at the Boston show was "short weights." "A lot of legitimate seafood sellers are competing with unscrupulous importers who bring in product at 70-80% net weight because of over-glazing," he explained. "Then they sell it to restaurants at a lower price. It's very difficult for a lot of the established companies and brands to compete with this. There is a lot of feeling that the FDA really needs to step up enforcement in this area." Sackton added that companies that short weight also take short cuts with food safety. National: Health reform bill will cause several near-term changes By LEE BOWMAN - While insurance exchanges and coverage mandates are still years away -- and subject to legal challenges if not GOP repeal efforts -- some fundamental changes to health coverage are pretty much guaranteed to happen once President Barack Obama signs the health care bill this week. Many of what Democratic advocates call the "early deliverables" of health reform address insurance-company practices that even most Republicans agree need to be changed -- like dropping coverage due to pre-existing conditions and imposing lifetime caps on coverage. Republicans aiming at overturning the health-reform bill either through the courts or the ballot box in this year's mid-term elections want to ignore the early changes and focus on what they consider are less popular changes, like a penalty imposed on individuals who don't buy insurance and on larger employers that don't offer it after 2014. But Obama and his allies will be talking up the immediate benefits from the bill he's expected to sign as early as Tuesday. -- Starting six months after the bill becomes law, insurers could not deny coverage of a child for any pre-existing medical condition through age 19. An end to pre-existing restrictions for adults wouldn't come until the new system of insurance exchanges is set up in 2014. National: 'Baby killer' outburst joins ranks of 'You lie' in House history By TRISH CHOATE - First, it was "You lie!" Now, add "baby killer!" to the annals of shouted barbs on the House floor, where such outbursts have been exceedingly rare in the normally well-behaved body. The latest breach of that decorum occurred during Sunday's debate over the health-care reform measure, which was wrapped in overheated emotion and hyper-partisanship. The consensus among observers was that Sunday's shouted smear was directed at Rep. Bart Stupak, a Democrat from Michigan and a fervent anti-abortion lawmaker. Stupak was one of the longest holdouts, pushing for restrictions on using federal funds for abortion before he would give his party's leaders his pivotal vote. It was as Stupak spoke to explain his decision that the phrase "baby killer" was yelled from the floor. Sunday night, the identity of the yeller remained unclear. But on Monday, Rep. Randy Neugebauer, R-Texas, a conservative from the western reaches of the state, fessed up. TOM PURCELL: CENSUS 101 - "I'm a busy person. Why do I have to fill out this U.S. Census form anyhow?" "The U.S. Constitution says that every 10 years, the federal government must count every resident in the United States. It sounds simple, but what it really comes down to is politics and money." "How does it involve politics?" "There are 435 seats in the U.S. House. The government uses the population count to determine the number of seats your state will have. In 2002, after the 2000 census results were tallied, 12 seats moved across 18 states." "Change happens. What's the big deal?" "When a state gains or loses seats, the political party in power redraws congressional districts with hopes of making it impossible for the other party to win." MARTHA RANDOLPH CARR: Health Care Reform is a Tough Call - The health care bill has finally passed and will move on to President Obama for a signature. Whether or not this is good news or creates a creeping sense of dread depends on a few variables. PETER COPELAND: The health-care battle is far from over - Even after President Barack Obama signs major health-care legislation into law, the transformation of the medical insurance system is only just getting started. Opponents of the legislation promise legal and political fights on many different battlefields, including the states, in Congress, in the courts, at the polls this fall, and in the next presidential election. If the legal and political challenges fail to stop the legislation from taking effect, many of the changes are not scheduled to occur until 2014 and even 2020. Predicting what the health-care system (and the economy) will look like in 10 years is impossible. Virginia Attorney General Ken Cuccinelli, a Republican, said Monday that he will sue to block the federal government as soon as Obama signs the legislation into law.